For many years I’ve wondered why it is that the world’s languages, even though they developed in isolated geographical locations, all follow identifiable rules of syntax and structure. Many researchers have come to the conclusion that the rules of language must have a common source, but what could that be? Russian researchers joined forces with linguists and geneticists and have found that the 90 percent of our DNA that we call “junk DNA” follows the same rules of language and can be easily influenced by spoken words and frequencies. They found that “living DNA” will always react to laser beams (and radio waves) that have been modulated to language. This means that it is a normal expectation for DNA to react to language, which is why things such as affirmations can have a profound effect on us. This is a strong indicator that language has developed from this same source, the DNA in our bodies. The fact that we can also transmit DNA information to another DNA strand using radio and laser frequencies has ramifications that need to be monitored, and it obviously sparks my conspiratorial mind when I see the thousands of radio transmitters being installed all over the planet … but that’s another story. Russian scientists Garalev and Poponin did a groundbreaking study showing the “DNA Phantom Effect.” There’s something called the “Einstein-Rosen Bridge,” which is a wormhole in space left by burned-out stars. These are tunnel connections between entirely different locations in space where information can be transmitted instantaneously. The DNA Phantom Effect is a microscopic equivalent of the “Einstein-Rosen Bridge.” Our DNA can create these effects in the vacuum of space. What does this mean? It could mean that our DNA is our connection with alternate nonspatial realities and dimensions. So here’s my question … if information is transmitted through our DNA and our DNA is what connects us to other realities, what could disrupt this flow of information? Stress, worry, and a hyperactive mind have been shown to disrupt this process, along with certain “out of phase” radio frequencies and EMF waves. 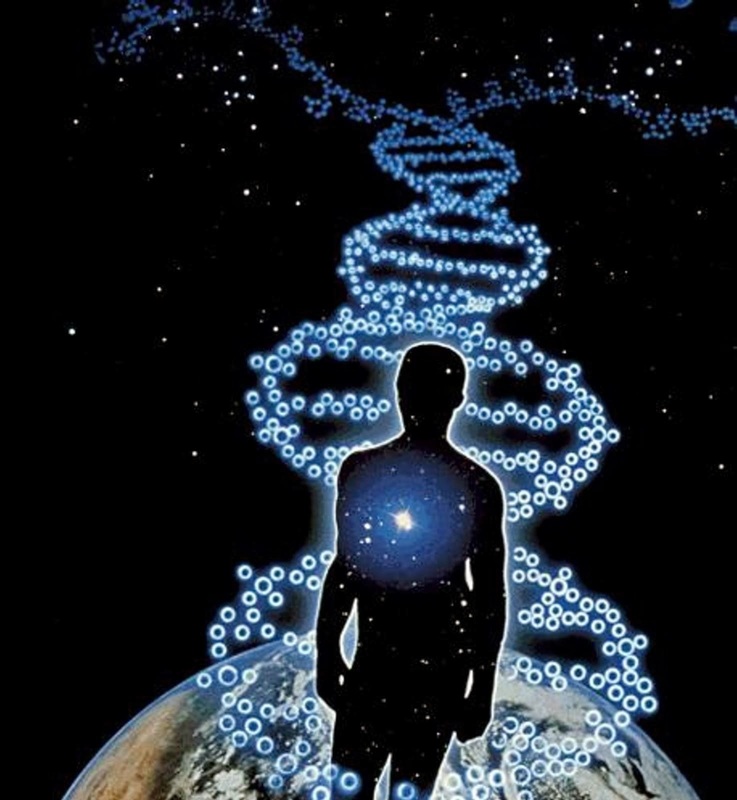 This (DNA connection) is the source of human intuition, inspiration, and information that can show the way to a new world of understanding. According to researchers such as Rupert Sheldrake and David Wilcock, this DNA research could help explain things such as telepathy, remote healing, and remote viewing (which our government takes very seriously). Researchers are also showing that our DNA is not just a download connection; it’s also an upload connection with the morphic fields of other beings and the planet itself. We are on the cusp of human greatness, but our outdated and dysfunctional systems suppress what our young people are trying desperately to connect us with … ourselves and oneness. It seems that I end most of my articles with the same statement: “It’s time to wake up!” Waking up to our inherent greatness takes courage, the courage to be ridiculed by the sleeping masses, the courage to stand up for what is right and truthful, and the courage to take responsibility for ourselves and our planet.